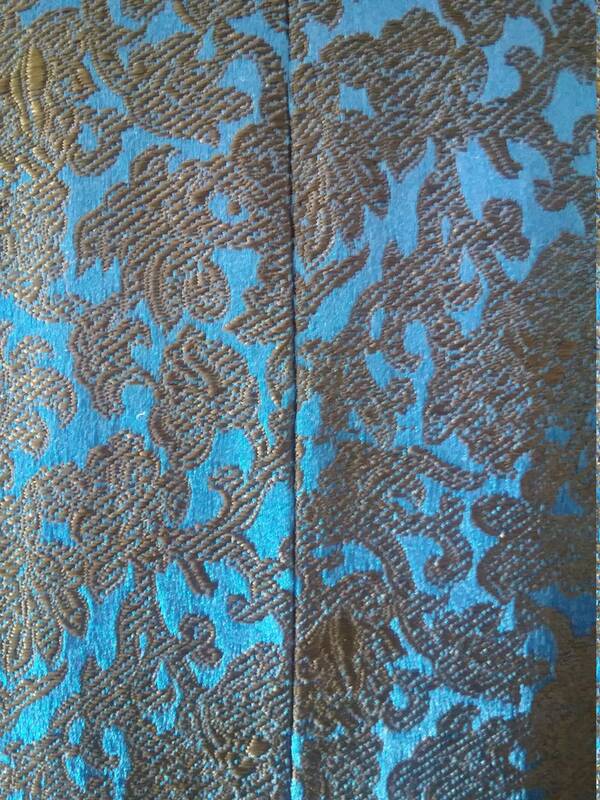 1960's, 34bust, 2 piece royal blue embossed gown and coat with black lace print. 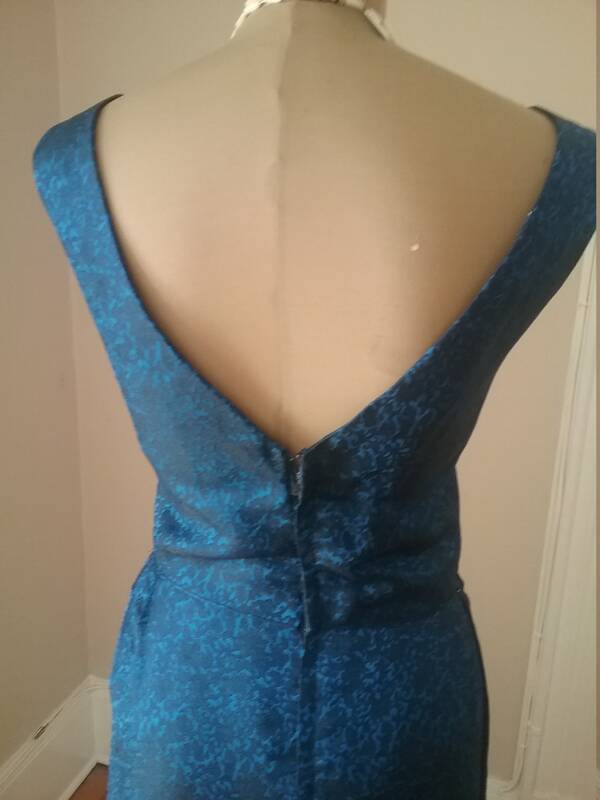 1960's, 34"bust, 2 piece royal blue embossed gown and coat with black lace print. 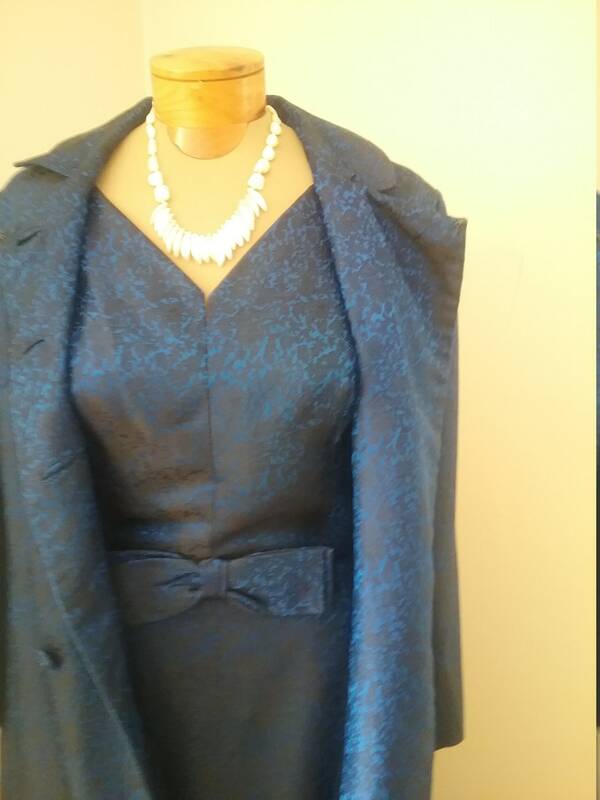 1960's, 34"bust, 2 piece royal blue embossed gown and coat with black lace print. Gown has long full length straight skirt, bow at midriff, and open neckline, sleeveless with a long zipper fastening gown in back. 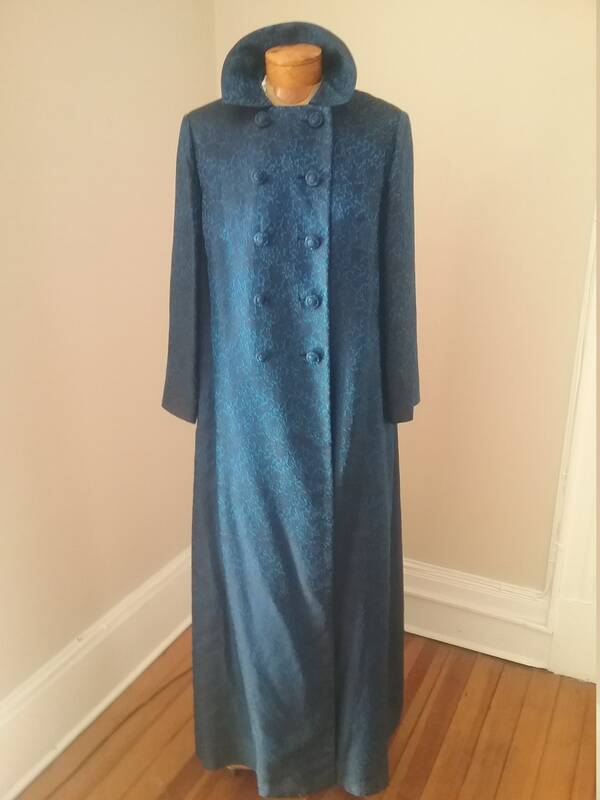 Coat is fully lined in light blue silk. 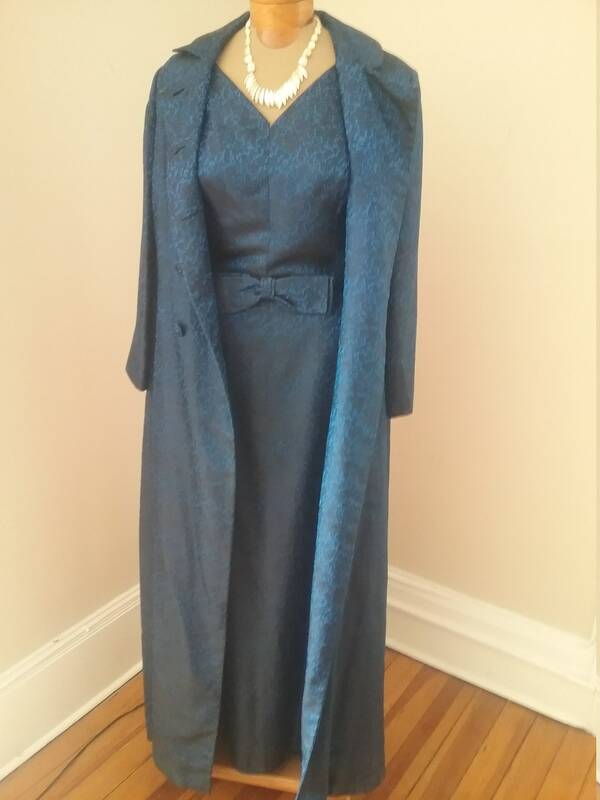 Coat is floor length, long sleeves, with slash pockets at each hip. Label reads "Mohan, Hong Kong.